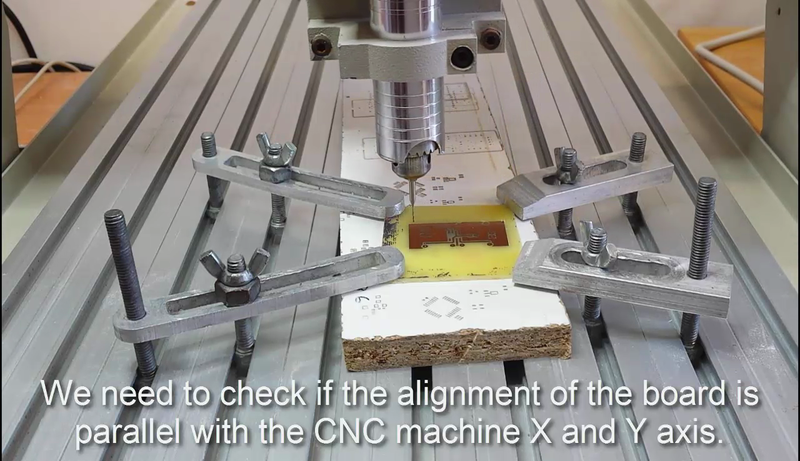 In this tutorial screenshots will demonstrate the most important steps of the CNC milling process. 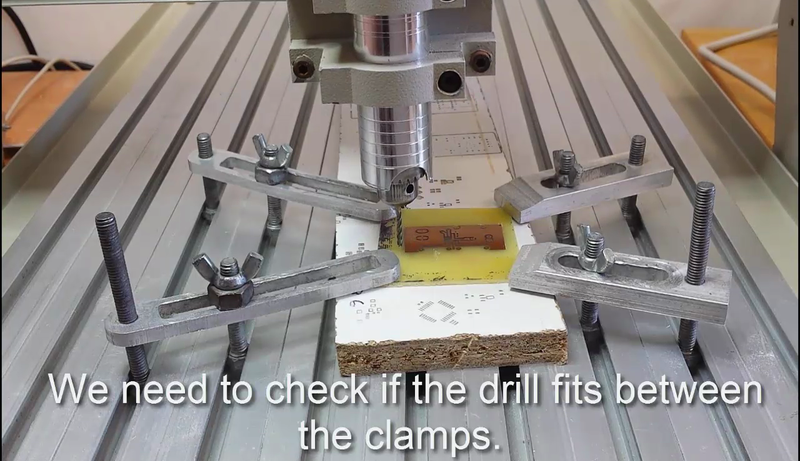 Before milling you need to start by installing the milling head required for the first gcode. Use the head diameter specified in the gcode. Then set the origin point of your milling head and upload the appropriate gcode to the software controlling your machine. Do not forget to switch the head when a toolchange is necessary for example when it is required to drill NPTH holes instead of pin holes. You can do the edge cut with the same head. Figure 1 - Does the milling head fit between the clamps? Figure 2 - Is the alignment of the PCB board parallel to the X and Y axis? 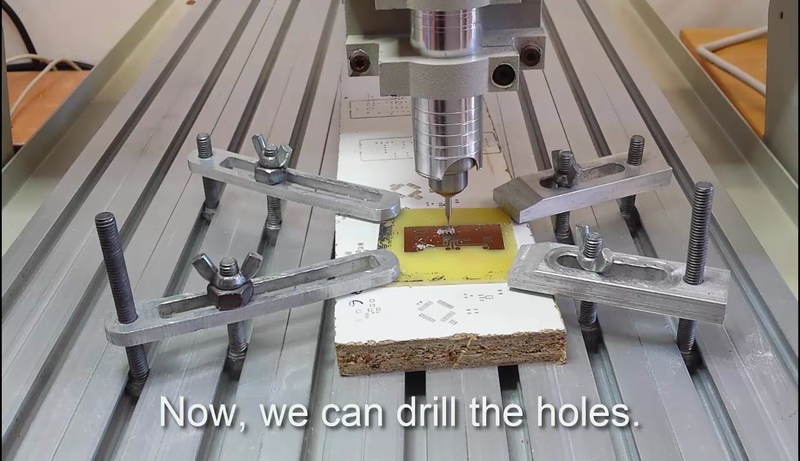 Figure 3 - Drilling out the holes. The milling head diameter should be as specified in the gcode. Figure 4 - Cutting out the edges. You can use the same milling head as you used for drilling NPTH holes. 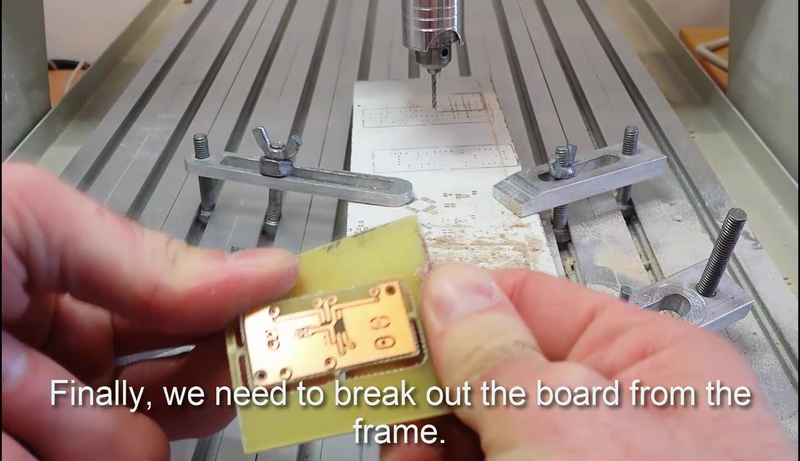 Figure 5 - Finally, break out the PCB board from the plastic frame.